The 2017 Taiwan Chinese Language and Literature Teacher Training and Study Program hosted by the National Chengchi University (NCCU) Chinese Language Study attracted a number of European scholars. 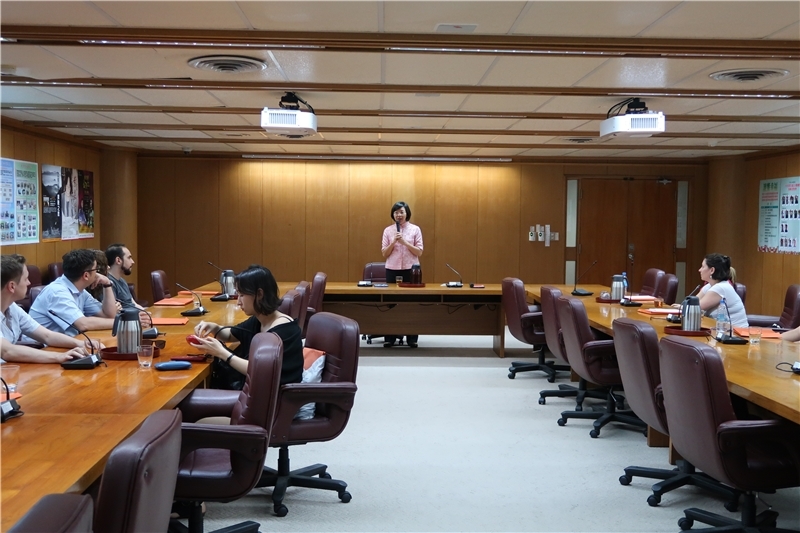 A delegation of 11 of these scholars called in to the National Central Library (NCL) to visit Director-General Tseng on Aug. 16. Among the delegation were Polish scholars from Jagiellonian University, the University of Warsaw, and Adam Mickiewicz University, which have close cooperative relationships with the NCL. The delegation took the opportunity to exchange views and discuss possible future collaborative projects with Director-General Tseng. The library specially arranged for the guests to visit the Rare Books Room, Ancient Book Stacks, and the Book Restoration Room. 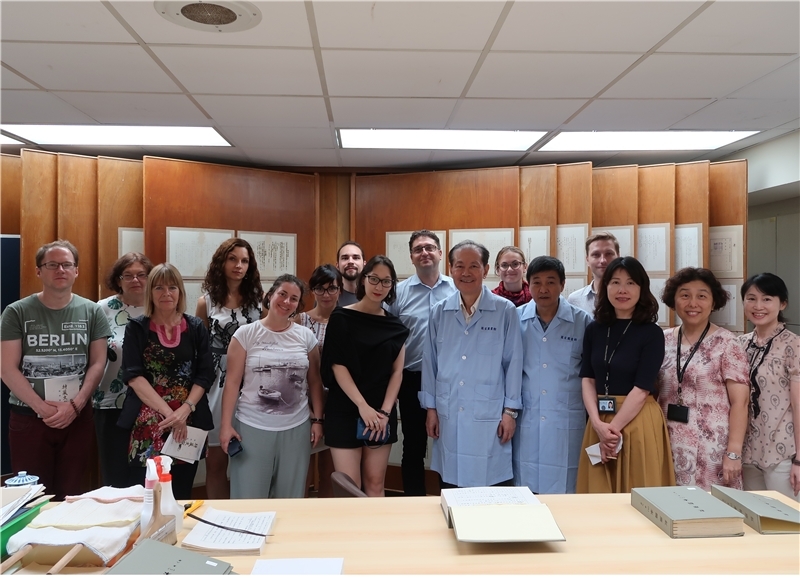 They expressed great interest in and support for the work carried out by the library to preserve, digitize, and restore these ancient books, which are among the nation’s treasures.